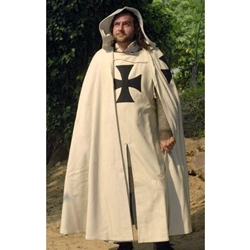 This Wool Teutonic Cloak, with its distinctive cross, is based on those worn by the Teutonic knights. Our reconstruction is crafted in wool with a linen lining. Approximately 54" long.